Terry Herald is a composer and classical guitarist whose accomplishments include the orchestral score for the award-winning PBS Special Air Force One: the Planes and the Presidents, and Fantasie on Danny Boy, a work for two soloists and five antiphonal flute choirs, which was commissioned as a tribute to Sir James Galway. 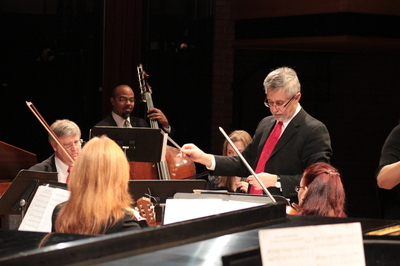 Rise Above, scored for chamber orchestra, was commissioned for the finale of the 2009 Lexington Bach Festival. Mr. Herald's original score for Journey to Justice was released on RGM Records in 2008 to critical acclaim. A wide selection of popular chamber music works by Herald has been recorded by Musica Mundi, a five-piece ensemble for which he performs on classical guitar. Mr. Herald also conducts orchestras for guitarist Earl Klugh, and serves as music director for Canadian jazz flutist Alexander Zonjic.